With absorbing power, Emory M. Thomas tells the story of one of the most revered figures in American history. A story of triumph and tragedy, this stunning biography provides a fascinating glimpse at the man behind the Civil War legend. Revealing the “whole” Lee in this enthrallingly detailed saga, Thomas portrays him as a man driven by the paradoxes in his own personality. Here is the Lee who is both a legend and a man. Heroic and larger than life in battle; insecure and unfulfilled in private life. Thomas presents the legendary general who inspired millions to support the southern cause, and the humble man who was amazed that thousands flocked to see him near the end of his life. This moving saga paints Lee on a canvas broader than the war that, for many, he has come to personify. 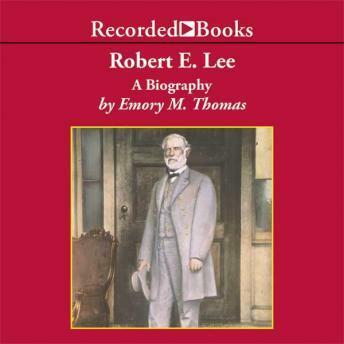 Armchair historians and devoted Robert E. Lee buffs alike will enjoy this refreshingly candid portrait of an often honored historical figure.